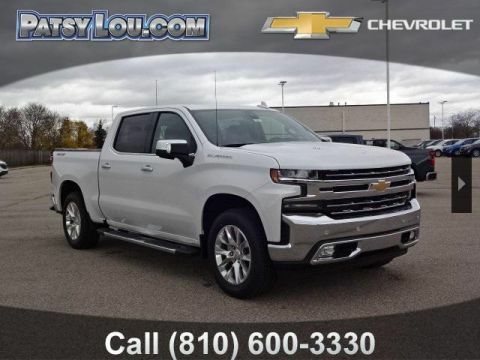 $5,921 off MSRP! HOME OF THE PATSY PROMISE!!! FREE CAR WASHES FOR LIFE, FREE ADDITIONAL YEAR OF MAINTENANCE (2 OIL CHANGES, 1 TIRE ROTATION), FREE THEFT DETERRENT SYSTEM, AND EARN DISCOUNTS ON SALES, PARTS AND SERVICE!!! 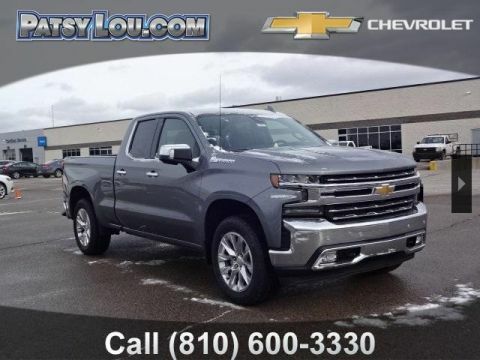 Chevytec Spray-On Black Bedliner, Floor Mounted Console, Following Distance Indicator, Forward Collision Alert, Front Bucket Seats, Front Pedestrian Braking, HD Surround Vision, Head-Up Display, Hill Descent Control, IntelliBeam Automatic High Beam On/Off, Lane Change Alert w/Side Blind Zone Alert, Lane Keep Assist w/Lane Departure Warning, Low Speed Forward Automatic Braking, LTZ Convenience Package, LTZ Convenience Package II, LTZ Premium Package, Off-Road Suspension, Power Sliding Rear Window w/Rear Defogger, Power Sunroof, Power Tailgate, Premium Bose 7-Speaker Sound System, Radio: Chevrolet Infotainment 3 Premium System, Rear Camera Mirror, Rear Cross Traffic Alert, Safety Alert Seat, Safety Package, Safety Package II, Technology Package, Ultrasonic Front & Rear Park Assist, Universal Home Remote, Ventilated Driver & Front Passenger Seats, Wheels: 20' x 9' Polished Finish, Wireless Charging, Z71 Off-Road & Protection Package, Z71 Off-Road Package. 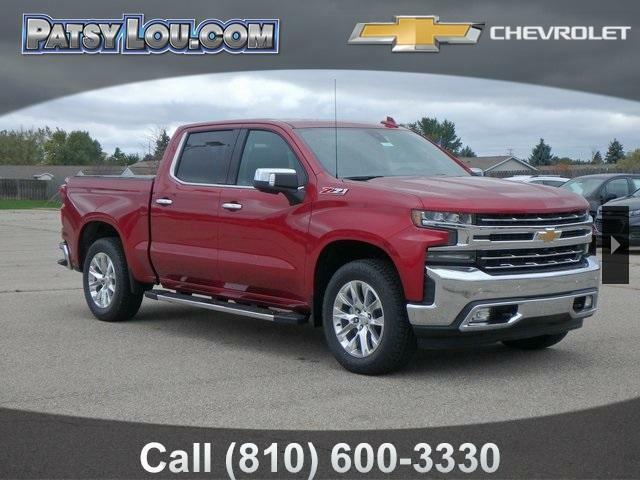 Cajun Red Tintcoat 2019 Chevrolet Silverado 1500 LTZ 4WD 8-Speed Automatic EcoTec3 5.3L V8 AT THE NEW PATSY LOU, IT'S ALL ABOUT YOU!! 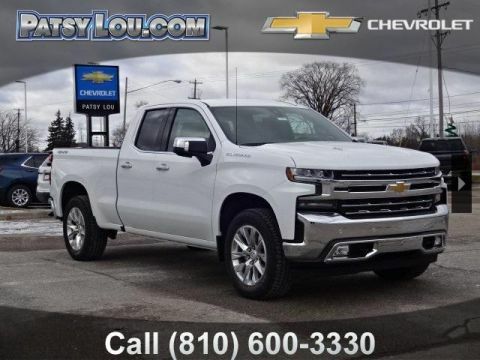 PLEASE VISIT US @ PATSYLOU.COM OR CALL (810)600-3330 FOR MORE INFORMATION OR TO CONFIRM A VEHICLES AVAILABILITY.